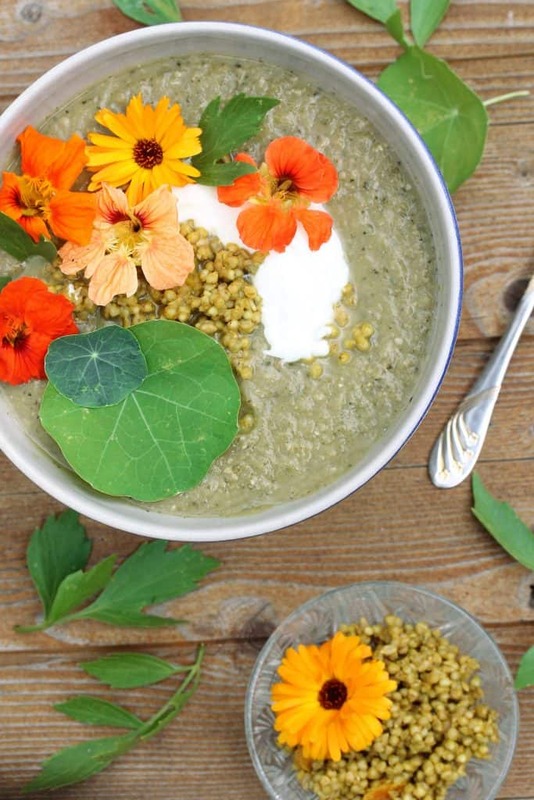 Zucchini Coconut Soup – topped with sunny buckwheat “Summer Soup & Flowerpower”. My mums garden is crazy ! 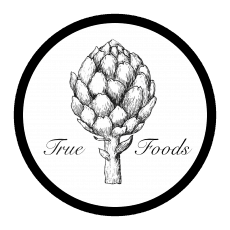 It feels like if you do not look at it for one second a little dwarf or something exchanges the vegetabels with ones that are double the size. It must be magic. As far as I have heard the beet root in our little garden in holland is also doing its best to show its beauty. 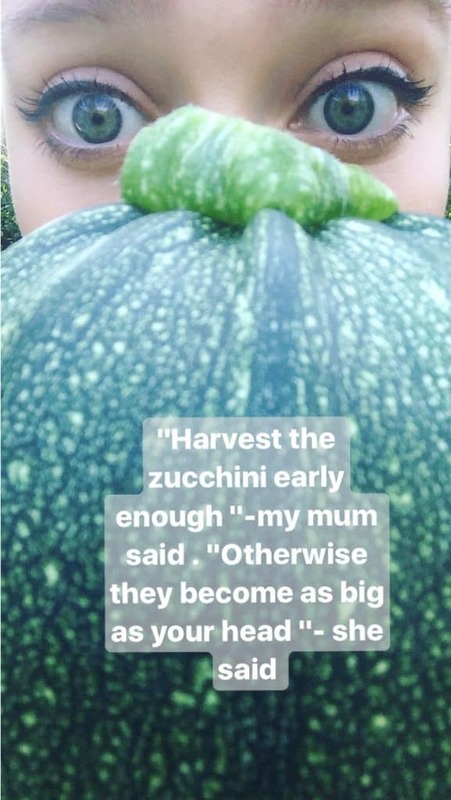 My mum warned me in advance to really take a close look at the zucchinis, because they are growing really fast. She was right ! This is also the first recipe which is inlcuding Indian Cress, the most basic edible flower. measure the buckwheat and heat up double the amount of it with some salt. Add the buckwheat and let this simmer for around 15 min until the water has resolved. Cut the onions and the garlic, heat up the coconut oil in a big pot and add the onion & garlic cubes to it. Next you want to peal the potatoes, cut them into fingernail big cubes and add them to the onion & garlic to heat. Stir occasionally. Cut the zucchini into little cubes as well and add them, together with the sunflower seeds to the potatoes. Let them get softer and slightly golden by letting them sit for a couple of minutes. Add the vegetable broth, coconut milk and the spices and give it a good stir. Close the lit and let it simmer for around 10 min. Stir ocassionally. meanwhile, add the cooked buckwheat to a bowl and add all the spices and the sunflower seeds and set aside. 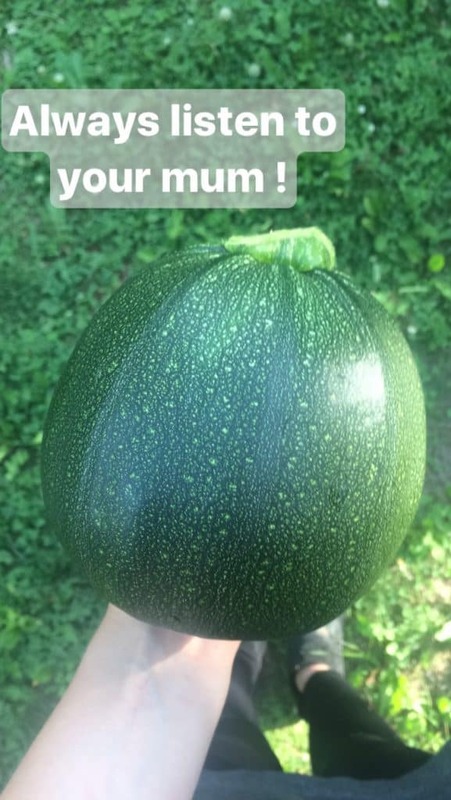 When the zucchini is almost falling apart on its own, blend the soup with a hand blender until you get your preferred texture. Serve with the edible flowers of your choice and enjoy ! !